Want to win great prizes? 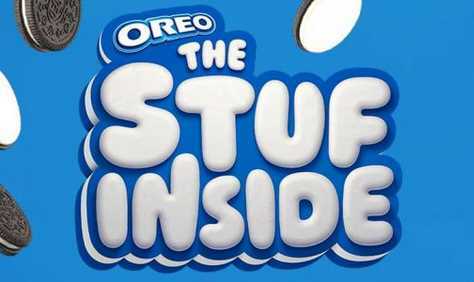 if so, Then enter into the Oreo The Stuff Inside Sweepstakes & Instant Win Game right now for a chance to win a trip for two (2) people to New York City, New York and Play the instant win game until March 06, 2019 for your chance to win daily prizes such as new 2018 2-door OREO customized Jeep Wrangler with Sport trim, gift card, hat and much more. How To Enter: Go to this link:www.thestufinside.com during the sweepstakes period and follow the online instructions to register by entering all information requested on the registration form and once you filled out the entry form now Click on the submit button to complete the registration form. Grand Prize: There will be one grand prize winner in this Sweepstakes, Who could receive a trip for two (2) people to New York City, New York. The Trip Includes: round trip, coach-class air transportation, hotel accommodations, tickets to the Broadway production Waitress, gift bag and $900 spending money. Total ARV of grand prize is: $3,900.!! An all-new 2018 2-door OREO customized Jeep Wrangler with Sport trim worth $29,249. OREO x K2 Snowboard worth $400 each. One hundred (100) random winners will receive OREO O’s Pajamas (winner’s choice of Small, Medium, Large, or Extra Large, while supplies last) and a Coupon that can be redeemed for one (1) box of OREO O’s. five thousand (5,000) random winners will receive a Coupon that can be redeemed for one (1) box of OREO O’s ($30 for each pajama prize package and up to $3.00 for OREO O’s coupon prize). Google Assistant devices worth $1300. Wiz Khalifa Music Boxes worth $150. One (1) pair Grado Labs headphones in an OREO design worth $650. $1,000.00 gift card redeemable for one (1) round-trip ticket on Delta Airline. One (1) pair of Terez Leggings – custom OREO leggings worth $78. One (1) OREO flavor lip balm worth $3.00. A Coupon that can be redeemed for one (1) OREO shake at F’real worth $3.08. A Coupon that can be redeemed for one (1) tub of Breyers 2-in-1 OREO Ice Cream worth $4,49. OREO DJ Mixer Box worth $30. A Coupon that can be redeemed for one (1) bottle of International Delight Creamer worth $3,18. Eight (8) OREO customized Xbox One X console worth $500 & 10,000 will receive free trial of Xbox game pass for seven (7) consecutive days. A Coupon that can be redeemed for one (1) box of Frozen OREO State Fair Vanilla Crunch Cookies worth $3.98. A Coupon that can be redeemed for one (1) package of OREO Thins Bites cookies worth $3.00. One (1) Gray Malin OREO customized signed print worth $500. One (1) Tervis OREO 16oz Tumbler worth $6.80. Jonathan Adler OREO cookie jar worth $130. A Coupon that can be redeemed for one (1) OREO chocolate candy bar worth $0.89. One (1) signed Tisha Cherry customized portrait worth $4,000. An all-new 2018 2-door OREO customized Jeep Wrangler with Sport trim worth $29,240. When To Enter: This sweepstakes entry begins at 12:00 am (“ET”) on February 4, 2019 and, and all entries must be received by 11:59 pm ET on March 06, 2019. Who’s Sponsor: The Sponsor of this Sweepstakes is sponsored by Mondelez Global, LLC, 100 Deforest Ave., East Hanover, NJ 07936-2813.